Per Fronth, born 1963, is an internationally reknowned Norwegian artist, represented by galleries and museums worldwide.His works are in the permanent collections of Museum of Modern Art, Wakayama, Japan, Sørlandet Kunstmuseum, Norway, as well as in numerous private collections, including Sting & Trudie Styler and former US Vice President and Nobel Peace Prize Laurate Al Gore. Per Fronth is one of Norway´s most popular - and controvercial artist; his works receiving admiration from collectors, critics and public alike - resulting in a string of sold-out exhibitions in both New York and Norway. Fronths storylines often includes challenging aspects of the Human Condition. He has made many controversial - and yet successful exhibitions, like the Xingu Chronicles, New York, 1998 about the peoples of the brazilian rainforest, Bloodlines, London, 2001, focusing on the now outlawed English foxhunt with Prince Charles - and his major series Theatre of War, about the struggle in war-torne Afghanistan and Norwegian forces, soldiers and exporters of fragile democracies. He works with photography as his raw-material, creating paintings with representation of reality as only one of his works components, making his art a unique voice in contemporary art. 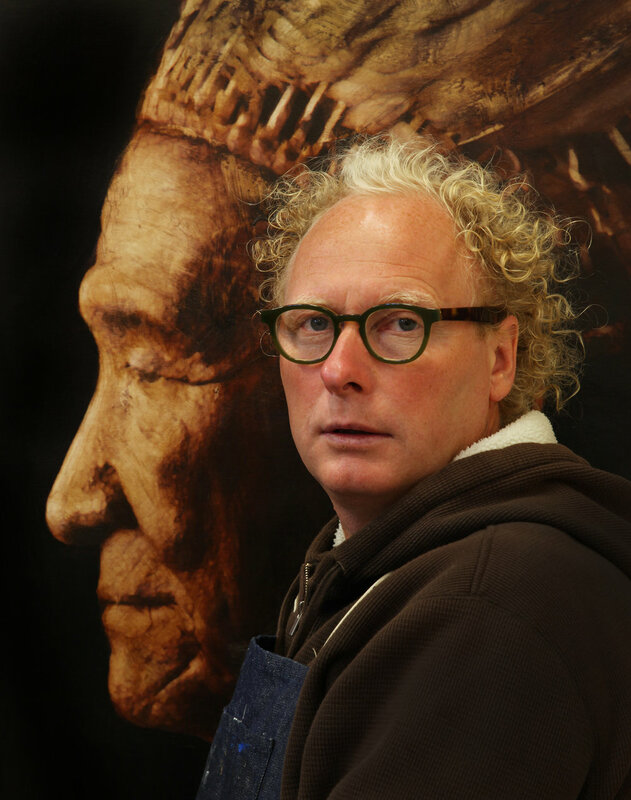 Per Fronth was awarded the title Nobel Artist 2009 - being selected to create the Nobel Peace Prize Diploma - given in 2009 to US President Barack Obama. This made Per Fronth the first photographer to be given the honor of making the Diploma. In 2015 Fronth was elected Olsok Artist at Stiklestad National Cultural Center, the site where King Olaf Haraldsson II. died on the battlefield on July 29th 1030. He is widely known as the man who brought christianity to Norway and consolidated and developed the power structures of the state. Later he was sanctified by the Catholic church as the only saint from the Nordic countries, known as St. Olaf. The Norwegian publisher, Press Forlag, published in 2009 the first major survey of Per Fronth´s works till date. The book WAS released in the US in October 2010 by DAP and artbooks.com. IT IS NOW SOLD OUT. have been selected for the Official programs for Berlin, Toronto and Sundance film festivals.